We receive no support from the Governing body of the sport and therefore rely on our membership fees and additional income we can raise to continue to be at the top of the sport. If you would like to work with us and our athletes in the future there are a number of options from individual athlete support to the sponsoring one of our development programmes. In-store we focus on providing the best running shoes for your biomechanics to you. 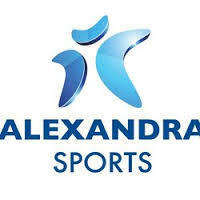 We have over thirty years experience in the sports industry and employ highly trained staff to serve your needs. Online we focus on a fast, efficient, safe and secure shopping service and we are constantly working to improve your online experience with us. We work closely with all of the major running and sports footwear brands such as Adidas, ASICS, Inov8, Brooks, Mizuno, New Balance, Nike and Saucony to bring the latest and best running and fitness products direct to your door. We are big enough to know, yet small enough to care. We have a fleet of Executive Mercedes Viano MPV’s that can carry up to 7 passengers each. We can cater for small to large parties; so what ever your requirements may be we will be able to suit your chauffeur & transfer needs. Jones Private Hire offers a chauffeur and private hire service for all occasions whether business, personal or pleasure. Based in Fareham, Hampshire we cover all surrounding areas, such as Portsmouth, Southampton, Winchester and beyond 24/7. That includes all airports in South East England: Southampton, Bournemouth, Gatwick, Heathrow, Stansted, Luton, London City, Bristol and Manchester. Along with all major seaports including Southampton, Poole & Dover and ferry ports such as Portsmouth. If you’re looking for an airport or cruise transfer or going to a wedding, party, prom or business meeting our executive driver in a luxury Mercedes minibus will get you there on time and in style. Our Mercedes offers the ultimate in comfort with FREE WiFi you’ll know you’ll arrive relaxed without having the stress of having to drive yourself or rely on public transport. If for any reason the Mercedes is unavailable it will be one of our other vehicles that will pick you up. Our other vehicles range from an executive saloon, a 7 series BMW and more. We are happy to quote for regular contracts and bespoke journeys, just get in touch. The freedom of cycling is available to all with our manual and powered wheelchair attachments, as well as our lightweight, stylish, high performance handcycles - so everyone can go out, cycle, get fit and have fun.